The Antimonopoly Committee of Ukraine (AMC) has allowed Dragon Capital Investments Limited (Cyprus) to acquire Korma Development LLC (Kyiv), owned by Europolis GmbH, which is part of the large real estate group CA Immo Group (Vienna, Austria). According to the AMC, the agency permitted Dragon Capital Investments Limited to acquire a stake in the charter capital of Korma Development, which provides the buyer with over 50% of the voting shares on the company’s board. According to the unified state register, Korma Development is the owner of a 100% stake in the charter capital of Europolis Property Holding LLC (Kyiv). Europolis Property Holding owns several land plots in the village of Kolonschyna in Kyiv region near highway E-40 (M-06), which are designed for construction and operation of storage facilities. The total area of the plots is about 50 hectares. According to CA Immo Group, in 2017 it sold a site with an undeveloped project in Ukraine. As of 2015, the company estimated the value of the Ukrainian asset at EUR3.4 million. 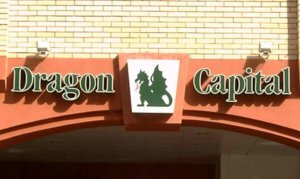 Dragon Capital Investments Limited is part of Dragon Capital Group, founded in 2000, which is one of the largest in the Ukrainian investment market. It works in the field of direct investment and financial services, provides a full range of investment banking and brokerage services to corporate and private clients.